Develop Your Creative Vision is led by Chris Harris and Dennis Ducklow, two professional photographers with extensive and varied backgrounds. They are a complementary team, sharing what they know and learning from each other. Both are teachers and mentors at heart. Well into a career that spans more than 50 years of image making, Chris Harris uses creative vision and narrative imagery to teach from experience. Arguably the country’s most successful self-publisher, especially in his chosen passion for outdoor exploration and photography, Chris has recently published his 13th book. 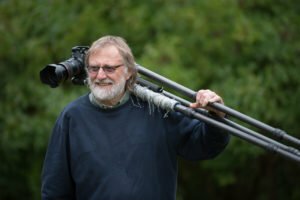 Widely respected in his field, Chris has presented to a number of organizations including the Canadian Association of Photographic Art and the North American Nature Photographers Association. His work in photojournalism has been recognized with two Northern Lights Awards, and his book “Spirit in the Grass” was a 2008 BC Book Prizes finalist. Much of Chris’ recent work centres around environmental advocacy. The beauty and wonderment of his home region, the Cariboo Chilcotin Coast region of BC has been the inspiration and motivation of 30 years comprehensively chronicling the central plateau through photography. It is this passion, the search for beauty, visual narratives, and sense of place based on integrity and respect for the natural world that Chris brings to his inspirational teaching syyle. To see more of Chris’ photography, click here. 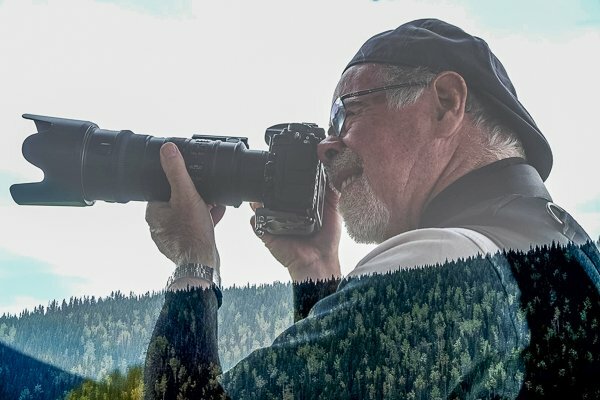 After a successful career as a public school teacher and administrator, Dennis retired early so he could devote much more time to photography, the passion that connects every aspect of his life. He now combines his love of photography with his teaching experience by offering photography courses in his hometown of Langley. Dennis is drawn to, and works in, every genre of photography. Professionally, he chronicles family milestones, commercial projects and public events. Artistically, Dennis is inspired by, and captivated by, the natural world, particularly the coastal rainforest where he makes his home. The places that he travels to and explores, people in their home environments, and the unfamiliar encounters of travel, prove rich subject matter to feed Dennis’ passion for artistic expression. Dennis is active in the community of photographers, frequently sharing his photographic experiences with camera clubs and community groups. More about Dennis’ photography is here.